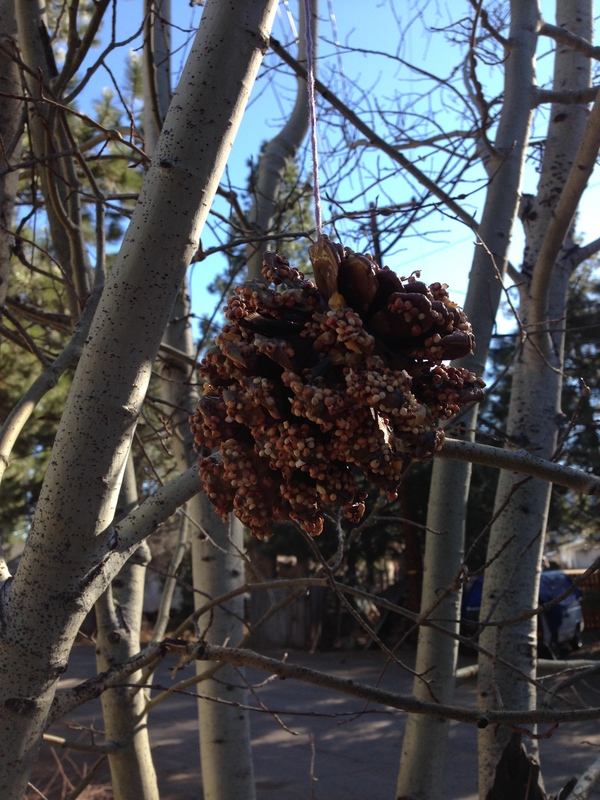 The other weekend we made bird feeders to hang in our yard using pine cones, peanut butter and bird seed. This was a fun project for the girls, who could dab on the peanut butter and roll on the bird seed themselves. We hung them all around the yard, on aspen and pine trees. It took awhile for the birds to find them, but we’ve occasionally caught glimpses of Stellar’s jays and nuthatches on the feeders.